There’s something magical about stained glass. It gleams in rivers of light and throws splotches of green, blue and red across any enclosed space, suffusing it in glowing color. Even in its very creation there is something extraordinary: stained glass is essentially sand transformed by fire, then turned into art by those skilled enough to control it. Take a river cruise in Europe, and you’re sure to see plenty of it. While stained glass has become synonymous with church windows, it can in fact refer to any colored glass, produced by adding metallic salts to the glass during manufacture: cobalt for dark blue, copper or gold for red, copper oxide for green. (Stained glass can also be made by painting the surface of glass before firing it in a kiln.) Objects are then created by arranging pieces of glass in a mosaic-like fashion, traditionally held together by stone, plaster, wood or strips of lead. 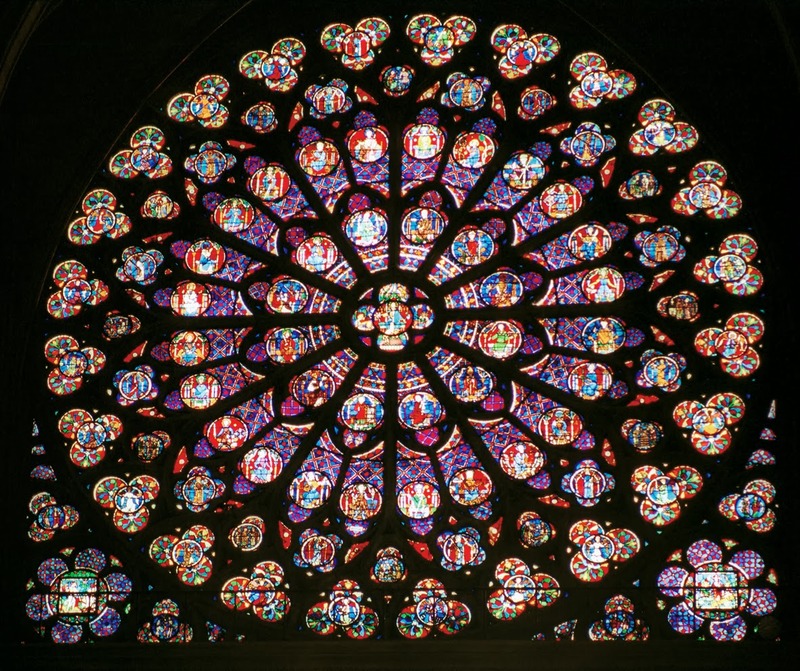 The rose window of Notre Dame in Paris, France. No one is sure when stained glass first emerged, but certainly Syria was an early centre of production. The ruins of early Islamic cities in Syria have revealed colored fragments of yellow, green, pale blue and purple glass once mounted in wooden frameworks. By the eighth century, alchemist Jabir ibn Hayyan was detailing stained-glass production and cutting techniques. 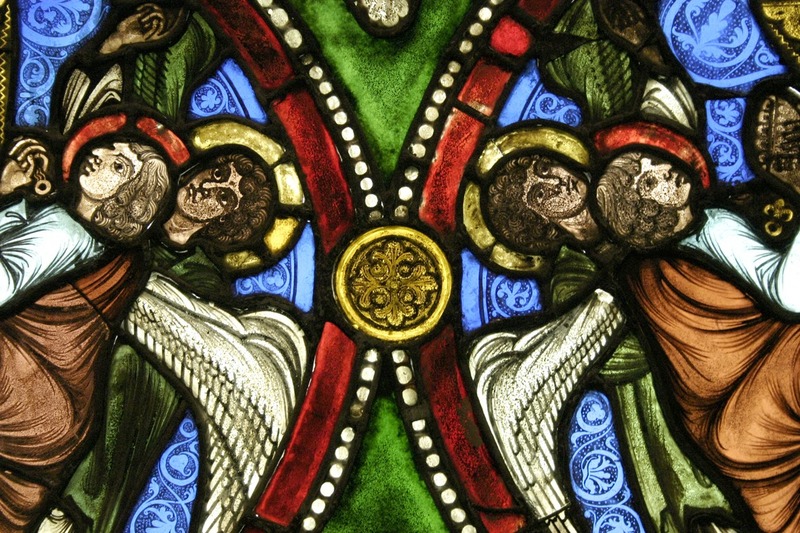 Arab stained-glass filigree windows arrived in Europe via Spain, where they appeared as early as the tenth century. Returning European Crusaders also carried Islamic decorative ideas home; the famously beautiful rose windows of European cathedrals such as Chartres and Lincoln were inspired by the rosettes and octagonal windows of Ummayid palaces. However, the best of medieval European stained glass was soon depicting human and animal figures. Ecclesiastical stained glass was essentially an illuminated story portraying scenes from the Bible to a mostly illiterate population. Mythical figures, heraldic shields and royal memorials also featured prominently. During the Renaissance, small, paned domestic windows were created by blowing and then spinning glass bubbles. This resulted in the characteristic concentric rings of glass still seen in old houses and castles, complete with a central lump where the spinner's rod held the glass. But not all such windows from this period are actually stained glass, since artisans had started to paint the surfaces of colorless glass. This was cheaper and added to the range of color and detail, but some of the rich glow of medieval stained glass was lost. In the nineteenth-century, stained glass made something of a comeback in household windows and leadlights, or decorative glass panels over doorways. A revived taste in Gothic architecture also saw decorative glass appear in train stations and other public buildings. 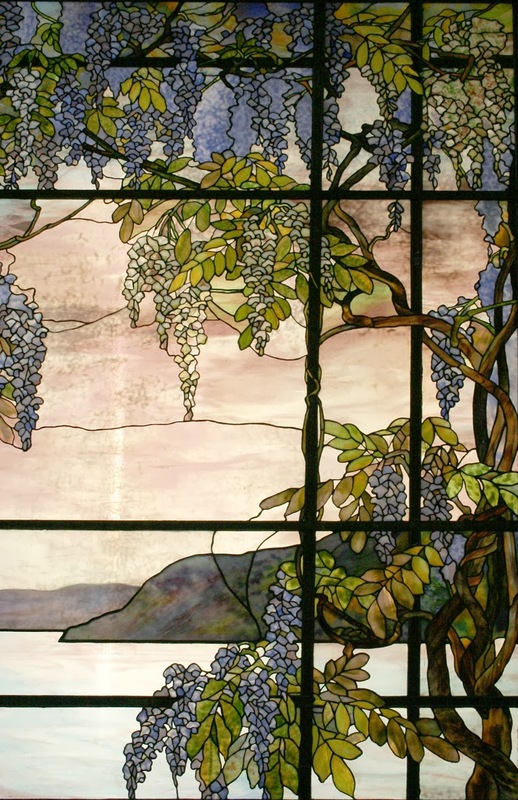 By the early twentieth century, American designer Louis Comfort Tiffany was famous for decorative and iridescent stained glass, especially lamps and windows in the Art Nouveau style; many artists of the Art Nouveau movement were particularly fond of stained glass. 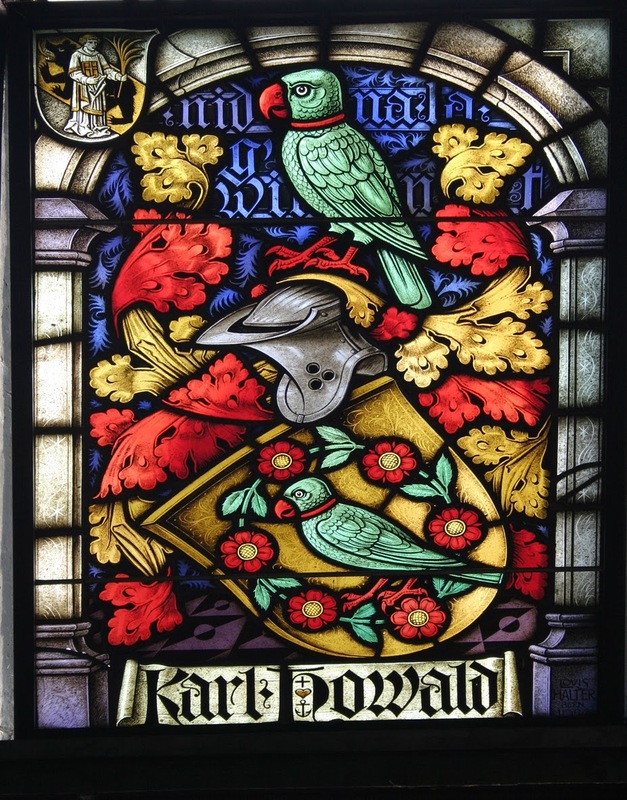 However, the art of stained glass had remained virtually unchanged for a thousand years until French artist Jean Crotti pioneered a new technique called gemmail in the 1930s. This did away with the need for a frame in lead or other material; instead, overlapping pieces of glass were simply fused together. Many artists such as Picasso and Mondrian dabbled in gemmail, but the German Walter Womacka was its most noted expert. French artist Marc Chagall also became a leading proponent of stained glass in the 1960s. The end of the twentieth century saw stained glass regain popularity once more, this time as a hobby craft and for use in leadlights and bathroom windows. Today, stained glass is produced commercially mainly in the USA, Germany, France, Poland and Russia. Magical as always, it still brightens up our world, and brings color to unexpected places. You've almost certainly seen stained glass while on your river cruises, so please leave a comment about the best you remember, and join the conversation!